The knee is one of the most complex joints in the human body. It joins the thigh bone (femur) to the shin bone (tibia). Two other bones also make up the knee joint which includes the smaller bone running alongside the shin bone (fibula) and the knee cap (patella). There are four ligaments holding the knee bones together which provide stability. The MCL and LCL prevent the femur from moving side to side, the ACL prevents the femur from sliding backwards on the tibia and the PCL prevents the femur from sliding forward on the tibia. Knees bear considerable weight. Two pieces of c-shaped cartilage, in the knee joint, act as shock absorbers. They are called the “medial menisci” and “lateral menisci”. Chondromalacia patella, also known as patellofemoral syndrome, is an irritation of the cartilage behind the kneecap. It is a common cause of knee pain in young people, athletes and manual laborers. The meniscus is a c-shaped disk that cushions your knee. Each knee has two menisci, one on the outer edge of the knee and the other on the inner edge. They help to keep your knee stable by balancing your weight across the knee. With a minor tear, you may have slight pain and swelling. A moderate tear will cause pain and swelling and will make your knee feel stiff while also limiting the way you bend it. Walking is usually possible. If the tear is not treated, then pain can come and go for years. With a severe tear, pieces of the torn meniscus can move into your knee joint. This may cause your knee to lock, catch or pop. You may not be able to straighten your leg and it may give way without warning. Four ligaments can be injured in a knee (MCL, LCL, ACL, PCL). The medial collateral ligament (MCL) and the lateral collateral ligament (LCL) are respectively found on the inner and outer side of the knee. The MCL is more commonly injured than the LCL. A blow to the outside of the knee usually causes MCL injuries in sports such as soccer, football or hockey. This type of injury may cause pain and instability to the inner side of the knee. 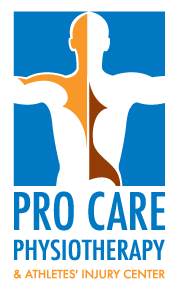 A PCL injury is usually caused by a blow to the knee while it is bent. For example, during a motor vehicle accident (i.e. when the knee hits the dashboard of the car) or when falling on a bended knee. Patellar tendonitis is an inflammation of the tendon connecting the kneecap to the shin bone. This usually occurs in athletes from repeated jumping. Tendonitis can take weeks to months to heal depending on the severity of the injury. The sooner treatment starts the better your chances of a recovery are.